EarthBounder wrote: D3 ideas in MXL. I feel dirty, and I like it. 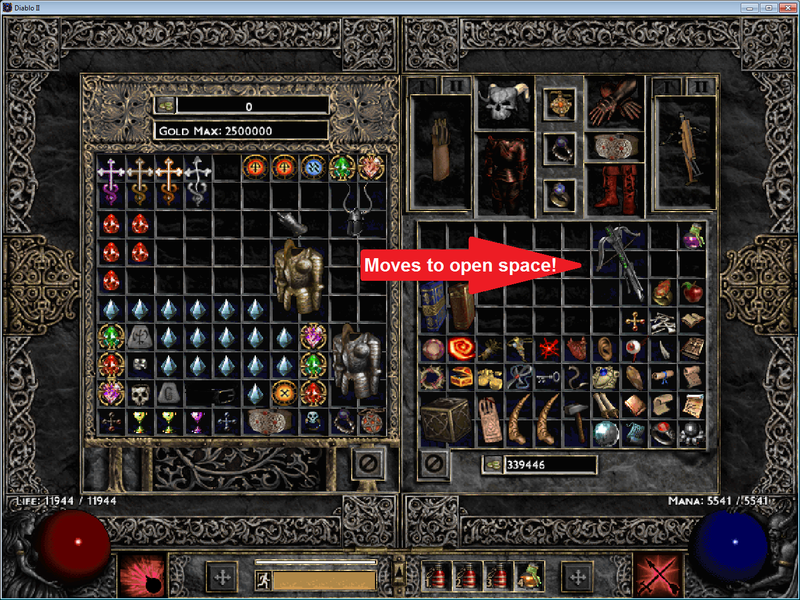 If we are going to take from D3 this is one element that would be a great fit in my opinion. Also it would be incredible if MXL and Sigma would get rid of the click (to pick up) -> drag -> click (today drop) with items in your inventory, cube and stash. D2 already has the logic to put items we pick up off the ground or purchase in stores to open slots. 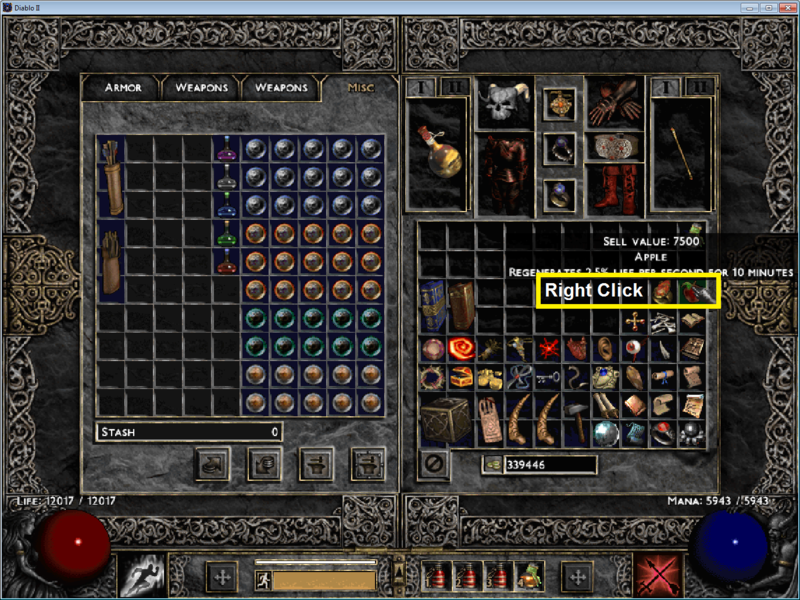 Being able to steal from D3 and be able to Right Click on an item in your inventory and have it jump to your stash if your stash is open. The same can be said for when your Cube is open, or when you have the store open. The only conflict that comes to mind is currently Right Click will use consumables and open your Cube; so maybe it would need to be Shift+Right Click. What do yall think? This would be a great quality of life and user experience improvement in my eyes! 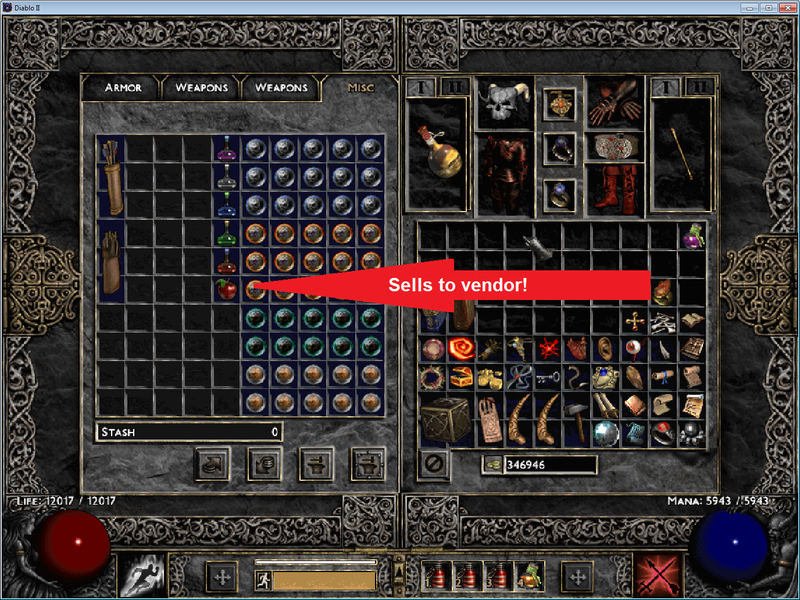 sell to vendor is already control left click. The real issue here is that you're using your weapons on the wrong side. L H wrote: sell to vendor is already control left click. 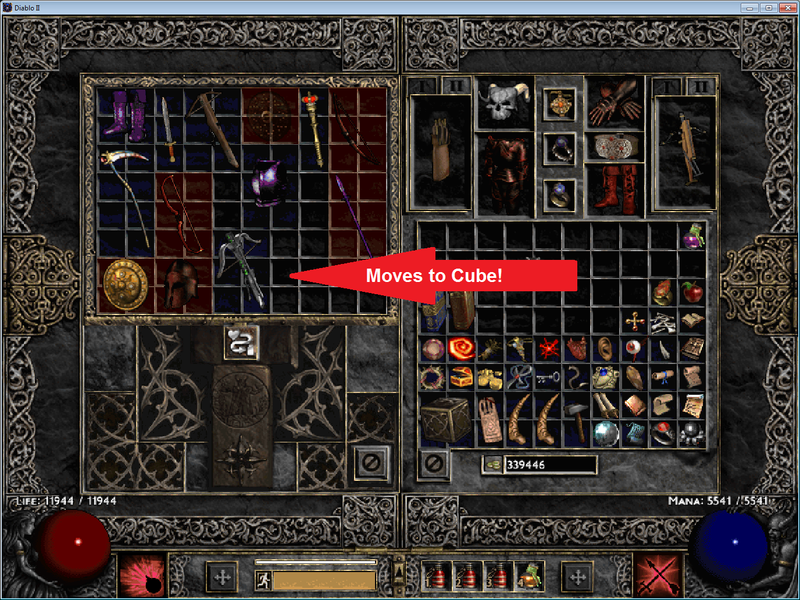 But back to the quick navigation between inventory, stash, cube and vendors; if the LCtrl function already exists for the Vendors, couldnt we apply it to the other locations? we did talked about it and it seems like the method we would have to use to apply this QoL feature will be a work-around and would lead to even more bigger problems. It will however be implemented in sigma. Knowing that it is on the docket is great. Thanks Rishab! 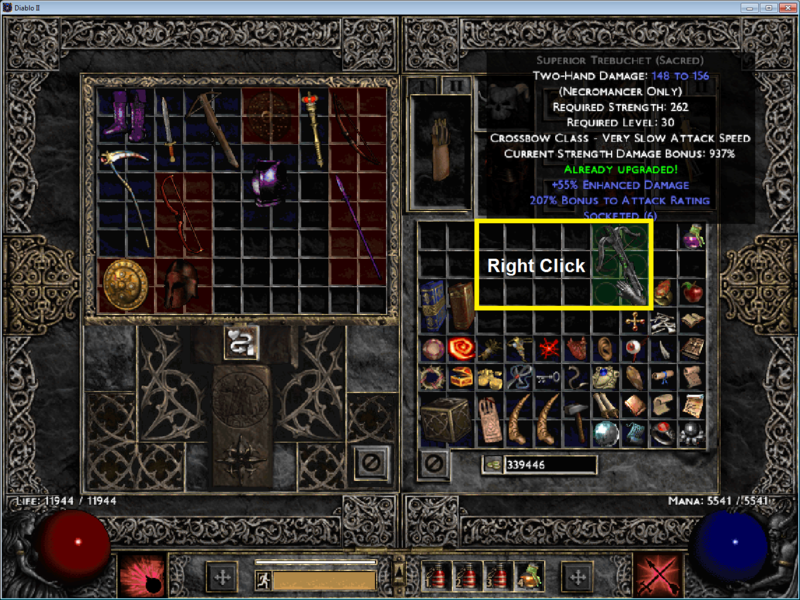 Was waiting to see this, thx Aahz!